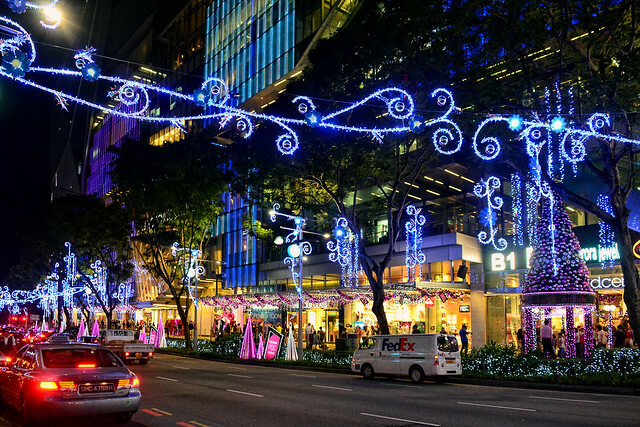 Every Christmas, various malls along the Orchard Road shopping belt in Singapore would compete for the “Best Dressed Building” award. The participating buildings are judged based on their day and night effects, and the use of eco-friendly features. 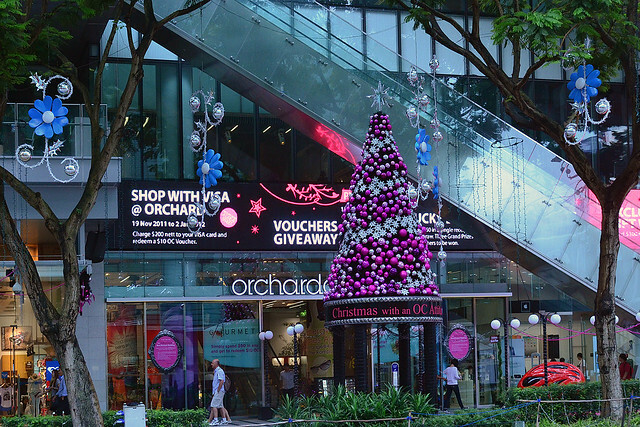 This Christmas, the “Best Dressed Building” is Orchard Central. The mall’s Christmas tree sports a bold pink, silver and black colour scheme, comprising alternating layers of baubles and snowflakes. 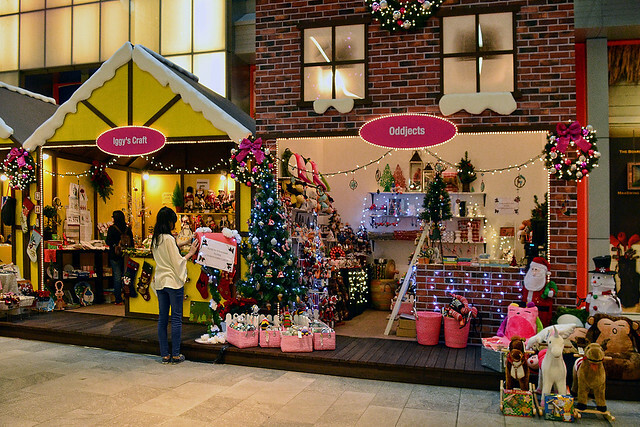 It bears a slight resemblance to the Christmas tree at VivoCity in 2006. Part of the décor is made with 850 recycled Pink Dolphin bottles, which probably did some magic to help the mall clinch the title. 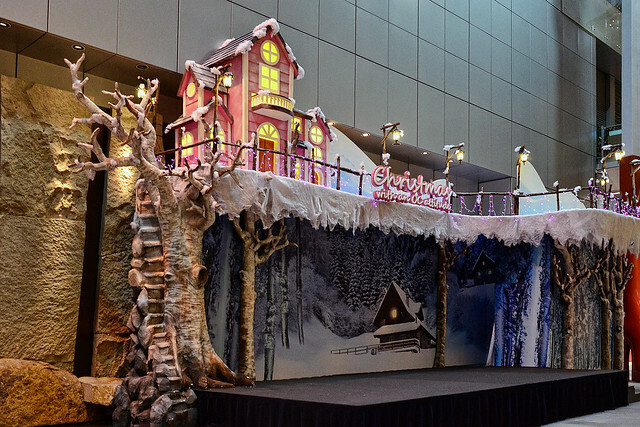 We are also impressed with the mall’s indoor Christmas décor. 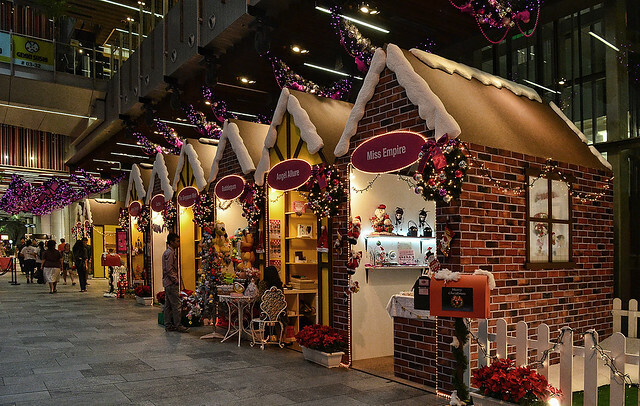 At the Discovery Walk on the ground floor, a Christmas marketplace has been set up for the festive season. 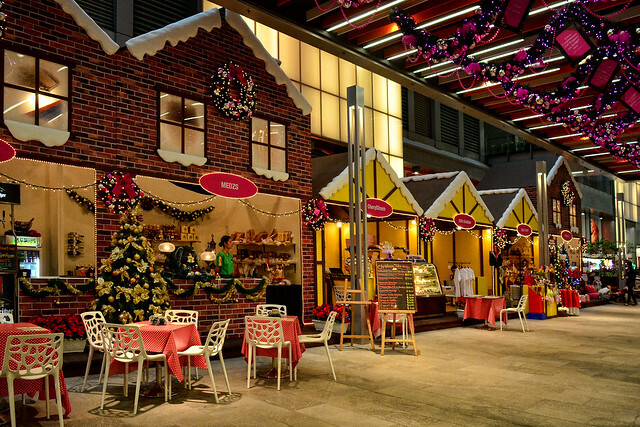 It almost looks as though a small village has been built within the mall! Based on my personal experience, it is usually rather quiet at Orchard Central. With this shiny new award, I hope it draws more curious shoppers to the mall this Christmas.